Sportsbook reviews play a very significant role in the realm of sports betting, most importantly for the American bettors themselves. Gambling360.com is a US sportsbook reviews guide that is obliged to give US gamblers objective reports on the sp orts betting sites they may be interested in using. Reviewing the best sports betting sites in America helps the players learn as much as they can about a specific online betting site before they commit to it. Below we explain the importance of reading USA sportsbooks reviews, along with giving a brief description of our review process. So, please read on and learn all you need to know about the online sportsbook ratings and reviews. We have conducted a load of different online sports betting sites reviews over the years, and can honestly say that the sites listed below provide bettors with the best online wagering experience. Why Read Online Sportsbook USA Reviews? Not all the US sportsbooks are good at the surface of wagering, sports betting and much more. However, some are well-rounded and proficient when compared to others. You may not know this when first looking for the best sportsbook online. Instead, a bettor’s priorities will lie on ensuring whether they sign up to a site with fast payout speeds, good bonus features, legitimate regulators and much more. At Gambling360, we urge players not to settle for less than what they actually want from an online betting site. Register at a sportsbook that will provide all the features that you want and need as a bettor. Research and read bookmaker sportsbook reviews, talk to other bettors and hear what they have to say about specific betting sites. Also, take advantage of free-trials or promos to see if you like a site. Sports – the betting sites we recommend will always provide bettors with a number of different sports to bet. It doesn’t matter if you want to bet on the NCAA lacrosse tournament final or the Super Bowl. Our highly-rated sportsbooks have it all. Safety – nobody wants to sign up to a sportsbook and make a deposit only to have someone steak your identity or money. It is for this reason we make sure to check that all sites we review are actually safe to use by making sure that they are registered with appropriate regulating bodies. Sports Book Review Odds – the amount of money you could win on a potential wager is entirely dependent on the odds tied to the bet. Different sportsbooks have different odds on the same bet. We try to make sure that we recommend sportsbooks that only ever offer the best possible odds on a wager. Bonuses – bonuses are promotional online betting sites that aim to get bettors placing more wagers, more often on their favorite sports. Ultimately, they see gamblers receive free money from sportsbooks with the aim of getting them to sign up to the site or keep using the site. Tipping Services – we try to recommend sites that offer tipping services to their bettors. This way they can get a better idea of what to bet on. 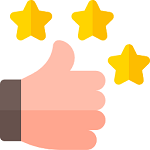 Reading sportsbooks reviews helps players ensure that they resister with sports betting sites that play by the rules, are fair, payout winners and have friendly customer care services. If they don’t, gamblers will be forced to contact management to outline the problems they are facing to have the issues fixed. No one wants to experience bad service with a company they are in business with and sports betting sites are no different. This is why sports books need to do proper research in advance to find as much information as they can about the top betting sites in the USA. This includes information such as the deposit options available, whether there are sign-up bonuses or not, the sportsbooks payout period, the betting options offered and much more. All these are essential questions that the bettor needs to have answers to before they commit to any sports betting site. Customer service is a strong focal point of all the best sportsbook reviews. If not, we urge you to look at other sports betting review sites. This is because unlike places like Las Vegas, where US bettors can physically visit the gambling resorts, online sportsbooks and gambling sites are virtual vendors. A reputable betting site will have a physical address on its website, together with a contact number which US players can use to get a hold of the sportsbook and enquire certain things if need be. Some will even go an extra mile and have a FAQs page where bettors can review and get to know more about the site. US gamblers can also use social media to check the site’s availability. This is because we live in a world where most things are available on the internet. One of the way companies use to attract customers is through social media marketing. A good and trustworthy sportsbook will have social media platforms where bettors can easily reach out whenever they need to. Following the sportsbook’s social media platforms will certainly help you see how they communicate with both their current and potential customers. If a sports betting site is quite responsive on social media, that’s a good thing. It will be clear that they are serious about their customer base and make it a point that they respond to their queries or questions in an efficient and timely manner. Top USA sportsbooks offer bettors hundreds of sporting events to wager on. The sports games that bettors can wager on range from soccer to football and much more. There’s every sport for every bettor. Most of the sporting events that US players can wager on will be real time. This means that players can wager on a match that is on-going. On that same note, most, if not, all of the best sports betting sites have a mobile version available. So, in such a case, we advise gamblers to place wagers while they’re watching the game from the comfort of their own home, or live where it’s being played. This means that they will have a much better insight into the game and the betting odds available. Our website’s aim is to provide US bettors with the list of the best sportsbooks online. 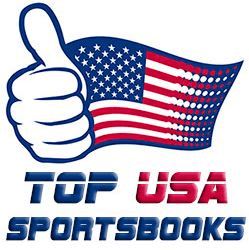 We also rank the top-rated sportsbooks in the USA, and this is to inform the bettor of how good a sportsbook is. We also recommend gamblers do their research on how to bet on specific sporting events and the betting odds available. This can be done by going through our different guides of betting odds and finding out if their desired sport provides a wide range of alternate point spreads, prop bets, and many other sports betting options so that you know what you are getting yourself into before committing.